Congratulations to Greg Slade who scooped two top medals at the 2018 National School Games Finals at Loughborough University over the weekend. 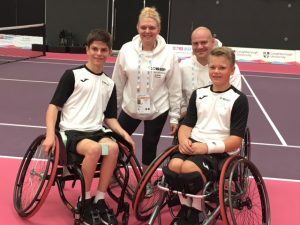 Greg gained a Silver medal in the boys’ wheelchair tennis singles in a tight match against Ben Bartram. He then went on to win Gold in the boys’ doubles, partnered with Ben Bartram, beating the Irish team. 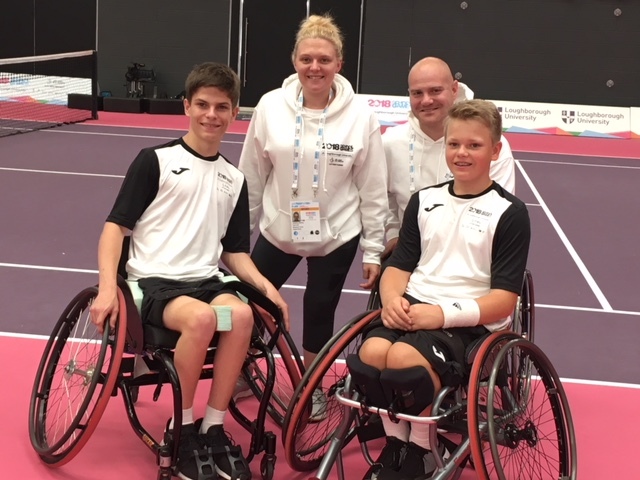 This year the England wheelchair tennis team were coached by Paralympic medalists, Jordanne Whiley and Marc MacCarroll. Overall more than 1400 pupils competed in 11 sports at the competition.